Can we assume that when students graduate from Bethel School of the Supernatural, they are… knighted? In 2010 many were knighted by Kris Vallotton and Bill Johnson. 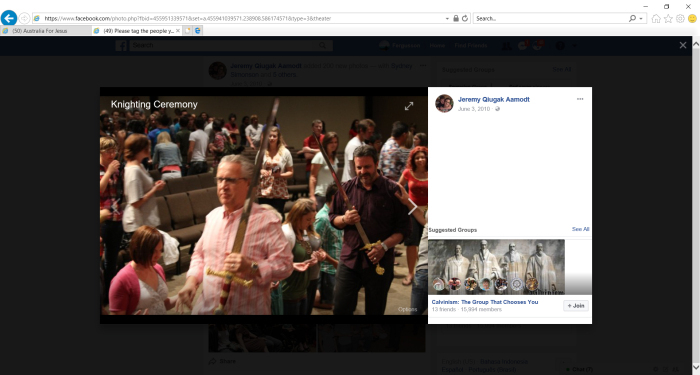 If anyone can email us to explain why actual swords are involved, what this means and what is said in this spiritual rite, it would be greatly appreciated. Often cults will perform such rites to indicate who has the higher spiritual authority. This is because they wish to highlight this authority with word, deed and spiritual impartation/suggestion. 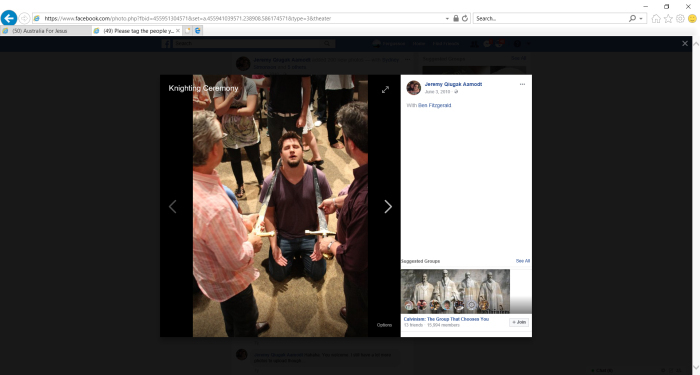 The person highlighted in this particular knighting ceremony, (as it called by the author of the screen grabs below), is Ben Fitzgerald, who later became a Bethel Pastor and teacher in Bethel’s School of the Supernatural. What’s this knighting thing about? Sorry to click-bait you with the title. We’ll answer that in Part II (“Part I” is just a re-post from ChurchWatch). But, yeah. It’s as weird as you might suspect. Previous story Introducing #The12 Shirts. Get Yours Now.